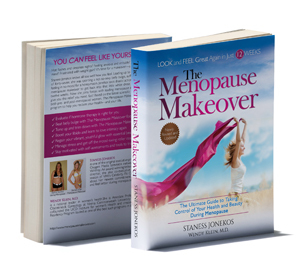 The Menopause Makeover is joining Award Winning Documentary Hot Flash Havoc on PBS as part of their 365 station fundraising drive. Wahooooo! 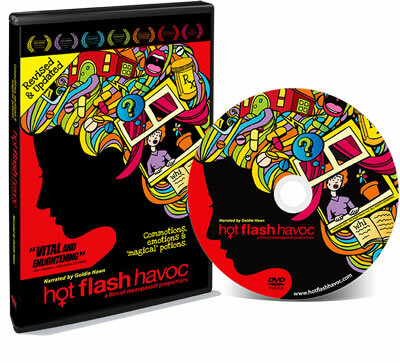 When you watch Hot Flash Havoc, executive produced by Heidi Houston and directed by Marc Bennett, you will have the opportunity to donate to PBS and receive a DVD of Hot Flash Havoc, plus a DVD series called, MENOPAUSE TALKS (Think Ted Talks with menopause experts), a copy of The Menopause Makeover, AND Change your Menopause by Dr. Wulf Utian. Hot Flash Havoc is narrated by Oscar Award Winning Actor Goldie Hawn, and The Public Broadcasting System (PBS) has licensed to air it on stations across the country starting March 5th! Click here to find out when it airs in your neighborhood. If you do not see the PBS station in your area showing the movie, please contact them to request the movie. We encourage you to tell both men and women to take the time to tune in, become engaged and encourage this vital conversation about menopause. Both Heidi and I released our menopause passion projects the same year, and I am thrilled to have my book included with her film on PBS.